Aircraft deliveries in 2017 were worth up to £29bn to UK industry as manufacturers in this country and around the world again raised their production rates to set a new annual record. Both orders and deliveries in December provided an end of year surge that broke a series of industry records. A total of 213 deliveries in the last month of 2017 – the highest monthly figure of the year – took the overall figure for the year to 1498, more than 50 aircraft ahead of the previous record of 1443 set in 2016. December also saw a new record for aircraft orders in any single month, with 1226 orders taking the overall backlog on manufacturers’ books to 14,312, another new record. The aerospace industry has now seen seven consecutive years of rising delivery figures as demand for new aircraft continues to grow, and production rates increase to meet it. 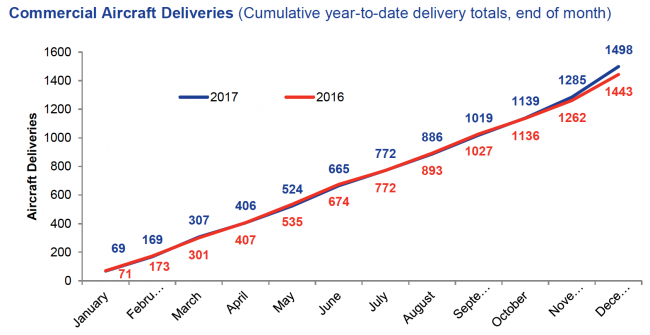 The new annual delivery record set in 2017 was driven by a 6 per cent increase in deliveries of single aisle aircraft, which also accounted for more than 1200 of the orders placed in December. The order book for engines – an important part of the UK aerospace industry – also sits at an all-time high figure of more than 26,000. ADS Chief Executive Paul Everitt, said: “The UK’s aerospace industry has set new records in 2017 as aircraft production and order books hit new all-time highs. “International demand for new aircraft continues to rise and manufacturers are stepping up production to satisfy airline requirements for cleaner and more fuel efficient planes. 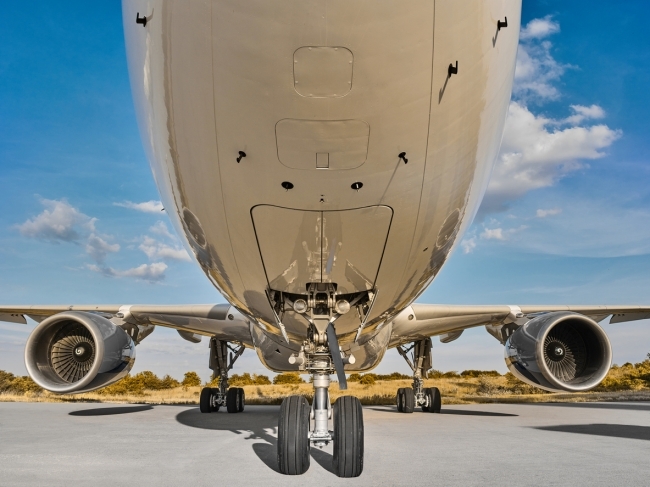 “Our aerospace industry is playing a vital role in this global industry, producing wings, engines, landing gear, fuel systems and avionics for some of the world’s most successful commercial aircraft.